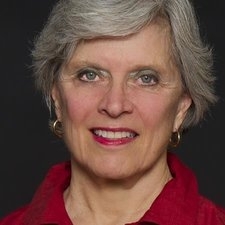 Dr. Mary Lake Polan, M.D., Ph.D., M.P.H., FACOG, will be involved in Portfolia’s Femtech Fund. She is an investor in women’s health companies across the US. She is also Managing Director of Golden Seeds, a women’s investing network and fund. Dr. Polan served as Professor and Chair of the Department of Gynecology and Obstetrics (OBGYN) at Stanford University School of Medicine from 1990 to 2005, and is now Chair Emeritus. She currently serves as Professor of Clinical Obstetrics, Gynecology and Reproductive Sciences at Yale University School of Medicine. Mary Lake specializes in reproductive endocrinology and infertility and hormonal issues related to gynecology patients and menopause. She chairs a Scientific Advisory Board in Women's Health for the Proctor and Gamble Company and participates in several other advisory boards of private life sciences companies, She is a Director of Quidel Corp and Motif Bio Plc and is also a director of several other private life sciences companies. She is a member of the National Academy of Medicine, formerly the Institute of Medicine (IOM), and served on the board of Wyeth Pharmaceuticals prior to its acquisition by Pfizer.